At the annual (arsmotet) meeting it was decided that the building committee should remain and Pastor Nyren was replacing Pastor Olson on this committee. 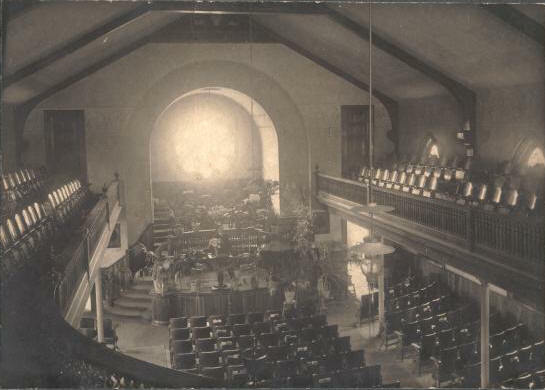 May 4, 1895 it was decided to build a lower level below the old church and to "further change and improve it to make it look better and more comfortable". Brother Rose was elected to get a drawing made for this purpose. When Mr. Rose later produced a drawing of the new church building, the committee got very interested. At that meeting it was decided to start building the new church and begin to start taking subscriptions. This was June 1st. Mr. A. Walin was elected to collect subscriptions and on the next meeting he reported that $5,550 had been received in subscriptions. A magnificent sum! Now the decision to build was renewed and a building committee was elected consisting of the following 15 members: Engstrom, Walin, Clauson, Wik, J. A. Johnson, John Landgren, Aug. Lundberg, Wolin, J. A. Rose, Pastor Nyren, Tournell, Hans Johnson, Blomberg, Andr. Benson, and F. Lundberg. Tournell was elected chairman of the building committee and the heaviest work fell on him. At first it looked quite dark, but the Lord helped surprisingly. Tournell put himself into this project with all his energy and made good progress. Because they had interest and unity for the project it was very successful. 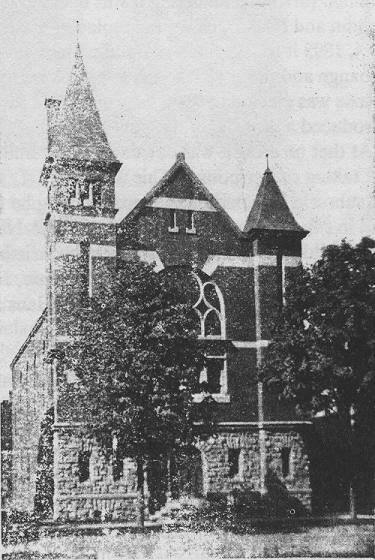 The church was built during the "panic" of 1895. At that time, many were unemployed, but then it was much cheaper to build. Many gave free donations in the form of labor. More funds were collected through subscriptions and many business people donated $50, 25, etc. John Widdicomb gave the biggest donation. He donated the turned "spindles" used in the fences around the gallery and choir gallery. Mr. Widdicomb has also, from time to time, remembered us with gifts and showed his good will by paying for the chairs so that they could be sold on auction to members. This brought $710. The whole subscription rose to $6,416. But of this, $4,805 was outstanding at the time of dedication. A great deal thereof has not yet come in and will never be received. Through special drives, songfests, etc. 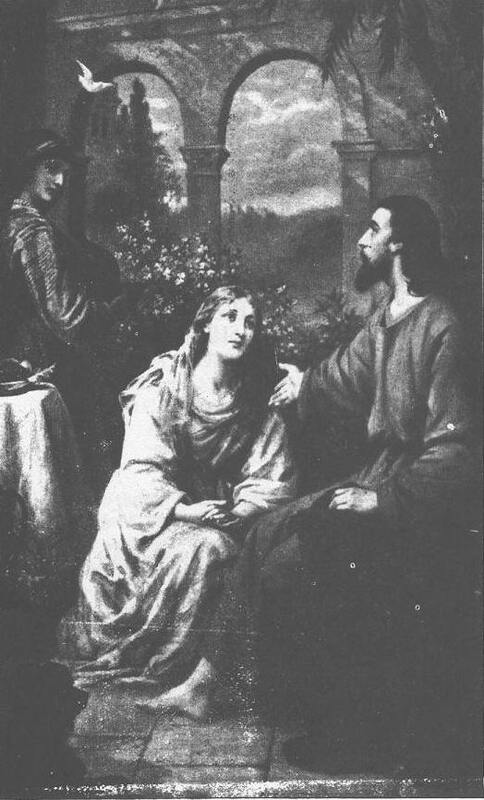 funds have been collected, but at the time of dedication the debt of the church was $8,024. 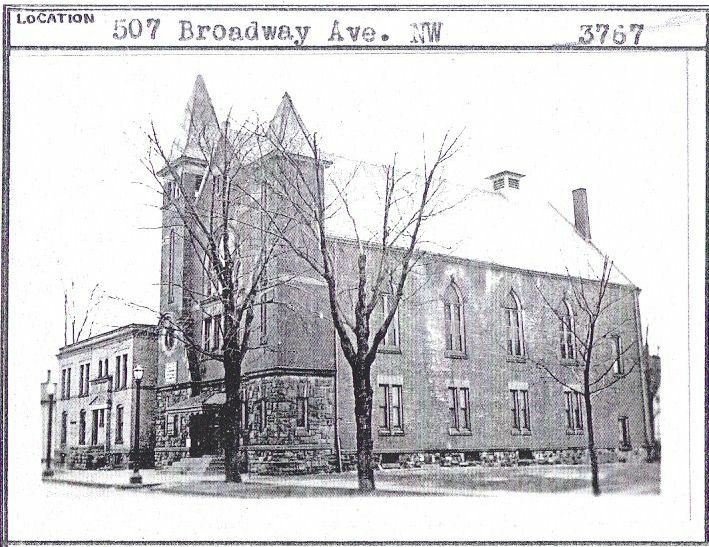 Total net worth of the church property is $17,476. During the years some have been paid off every year. During several years quite a sum has been collected through so called "centoffering", in which everybody would give one cent per day. Better results could have been achieved if all had taken part. Also, funds were collected by every member giving one day's pay. The sewing circles have also contributed a great sum of money, especially from the older people. This had reduced the debt to $4,000, which debt we just this year have erased. 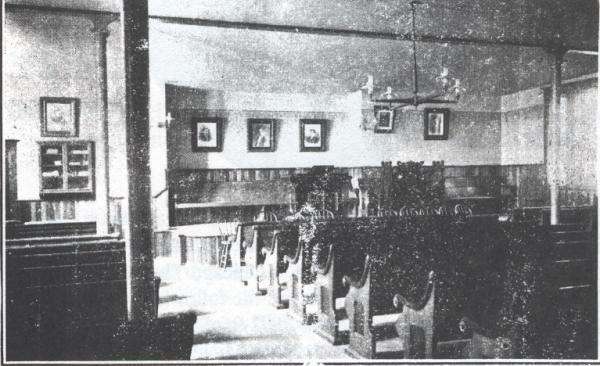 The last meeting in the old church was held July 7, 1895. During the building of the church, the German Lutheran Church on Mt. Vernon Street was rented. Thanksgiving Day we could congregate under our own roof as the lower level was completed. It was with thankful hearts and strange feelings we again gathered together in our own church home.